Great Invasions is the pseudo-sequel to Pax Romana, an overambitious, poorly executed, rushed out the door mess of a game with a few brilliant innovations. Great Invasions is not as bad as all that. Set in the decline of the Roman Empire, GI charges the player with managing kingdoms, empires and religions as they rise and fall under internal and external pressure. There will be barbarian hordes, ambitious generals, saints, martyrs, heresies, and the rise of a new monotheism in the Middle East to challenge the dominance of Christianity. It is an exciting time frame for a game, and, unlike the better known and certainly bigger hit Total War: Barbarian Invasions, it takes its history very seriously. In the History Fixed campaigns, this fidelity to history can be a little constraining. Revolts not only appear as they did historically, but vanish historically too. This means that you don’t have to put too much effort into managing the historical troubles. You can focus on the ones caused by your own incompetence. There are Open and Fantasia campaigns available, but they lack a lot of the fascinating color that makes the game as illuminating as it can be. The most interesting innovation of the game is that the player can control more than one power at once. In the Grand Campaign for example, the player can control both halves of the Roman Empire, the barbarian Franks and the Catholic Church. Each power has different goals, meaning that there is little risk that every game will play out the same even within the historical constraints. There is your standard economic/military game where you build and conquer, but if you control a faith, it is your job to convert heathens and kill heretics. Like Pax Romana, the biggest failing of GI is the interface and documentation. When you give the player so much to do, he/she better be clear on what the priorities are. The 25 page manual is skimpy (though further documentation is available on the game’s web site) and has too few images to make it obvious what the text is talking about. The tutorials are nearly useless, especially when the player moves from a four province babarian kingdom to a twenty province empire. It’s like staring at a menu in a restaurant where you can only afford the soup. You see all these choices in front of you, but there’s no way to get at them. In this case, it’s because you are afraid that you will set off a chain reaction of disasters that will undo whatever progress you have made. Stability is enough of an issue that there have already been three and a half patches since the game was released in July. It is much better now, but far from perfect. With dedicated study and hours of play, Great Invasions becomes a decent historical strategy game, but never more than that. The AI is listless in diplomacy and doesn’t make many aggressive military maneuvers unless programmed to do so. The shorter campaigns are more enjoyable than the Grand Campaign, but don’t have the epic feel that one of these games should have. The religious game would have been interesting all on its own, but sticking a military and economic game onto it just makes it feel like you are trying to do everything. By allowing the player to control more than one nation/power, there is never any real down time to figure out what your priorities are. Just when you are getting a grip on the Saxons, you get an alert that something bad is happening to the Frisians. So you switch to them and manage that crisis while the Pope’s missionaries are still stuck in Rome because you’ve been too busy to move them. Real time grand strategy in the Europa Universalis vein requires that the player always feel the pressure of time, but there should always be enough time to do what needs to be done. Slowing down the time compression or pausing helps some, but you never really escape the feeling that you are herding cats. The “governor” mechanic is never adequately explained, much of the art and the stratagem game device are holdovers from Pax Romana and for a game with so many historical figures it has a shocking lack of personality. Lead designer Philippe Thibault designed the Europa Universalis board game and had a role in the first computer translation – the game that made Paradox Studios one of the most prominent developers of historical strategy games ever. 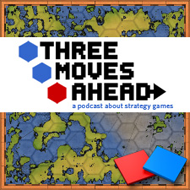 Thibault’s games show immense design ambition and his titles’ obvious resemblance to the Paradox games overshadows some real conceptual originality, be it the political minigame in Pax Romana or the multi-nation management of Great Invasions. Not yet available in America, Great Invasions is developed by Indie Games and published by Nobilis. If you don’t mind reading the manual in French, you can order it directly from the Nobilis website. In addition, in recent weeks I have seen announcements of an impending, Europe-wide release on 3/3/2006. I don’t know why I am so obsessed with picking this up, especially after reading so many lukewarm reviews of it — maybe my inner Visigoth is yearning to breathe free.